One of the most common questions I’m asked over the years while performing magic, whether I’m doing corporate magic, college magic, or even magic for kids, is if I created all of my material? Creation and invention are a huge part of magic and while yes I create a lot of my material, there is some magic that I perform that is marketed material. People believe this means I’m performing someone else material and that anybody can do it. That is actually a very big misconception. When a magician or comedian magician acquires something from another magician or the magic community it could be something as simple as a new slight of hand or even just an idea for a magic effect. It is up to a magician or comedian magician in my case to create the routine, write the jokes, script it, plot out the movements and redesign any element of the original routine to make it completely his own. I like to compare a magician to an artist, in which an artist will learn a method for a specific brushstroke to create details on a tree. Or they may learn a method for blending paints to create a perfect sunset. But in the end that artist still has to create the whole picture or image and utilizes the new techniques to improve his overall product. This is exactly how a magician creates a magic routine or performance piece as opposed to just showing a basic trick. As a comedian magician not only do I have to create the whole routine but have to write countless jokes to turn something that could have been too serious into something that is hilarious and magical. It is the same reason that two magicians can perform a magic effect that are very similar in technique but are completely different and are instantly recognizable as an effect belonging to the magician who created it. In fact, when I create a new magic routine it is usually so specific to me and my character that it would just be weird and awkward for another magician to attempt to copy. Let’s talk about the glorified life of an entertainer. 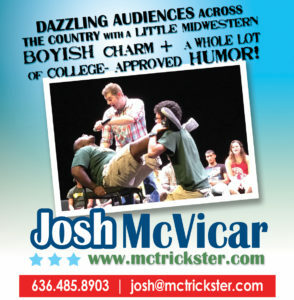 I get to travel for a living performing comedy Magic and Hypnosis shows for the college and corporate markets! People often comment on how “cool” it must be to stay in hotels and rack up those frequent flyer miles and eat at great local restaurants. It’s true that I get paid to travel and to make people laugh by performing comedy magic and hypnosis show and I absolutely love what I do but at times the travel gets to me. For those of you who don’t travel often or rarely travel for work it’s not as glamorous as it seems. During my busiest times I can be gone for 10 straight days. These days are filled with airports, car rentals, hotels (if I’m lucky) and lots of coffee. I have to bring huge and heavy bags with all my magic and hypnosis props and equipment. Many days I am a couple hours away from the airport and have to drive through the night to catch an early flight to my next destination. Many of those nights I either grab a quick hotel just to shower and then get to the airport and sleep an hour or two on the airport floor (it certainly beats having to rush to the airport at 4am!). My son has actually told people on many occasions that I live and work (perform magic and hypnosis) at the airport. Many days I am exhausted and need a caffeine fix in order to keep my energy level up but I wouldn’t change it for anything. As each school year comes to an end this is when I look back and reflect on my shows throughout the year. I make a point to write down some notes from my show after each performance. 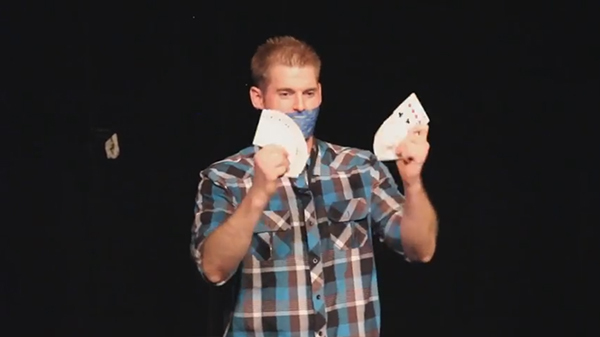 This allows me to look at which jokes and tricks are killing it on stage and which ones are not getting the LPM’s (laugh per minutes) that make a funny, entertaining and successful comedy magic or hypnosis show. 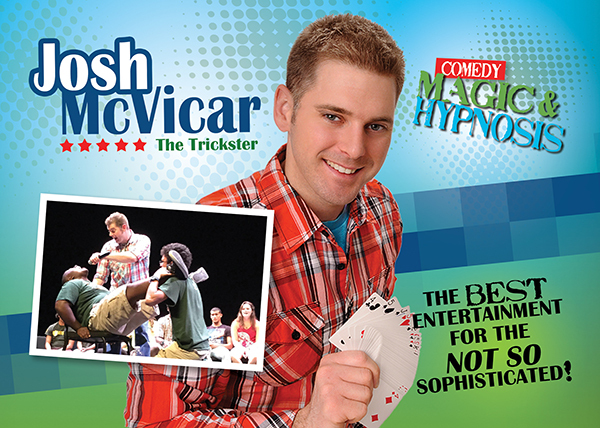 As I go through my notes I start thinking about what I can do to improve my product (Josh McVicar Comedy Magician and Hypnotist). Many times I will be researching new effects that fit with my performance style and then decide to add that new magic trick or hypnosis skit to my show as I phase another one out. The hot summer months in St. Louis, MO are the best time to add this new material. This is also the time of year that my traveling has slowed down allowing me to practice and rehearse until perfection. My wife often jokes that our house has been taken over by a production company during these times as our living space has props, sound equipment and video cameras all over. I should mention the more creative I become the more my creativity spills about the house. That being said it’s during those hit summer months that I have the time to really improve my magic and hypnosis shows for the upcoming school year. One thing I have learned after 15 years in the entertainment industry is that you have to continually improve and adapt to your clients needs…along with the ever changing market. 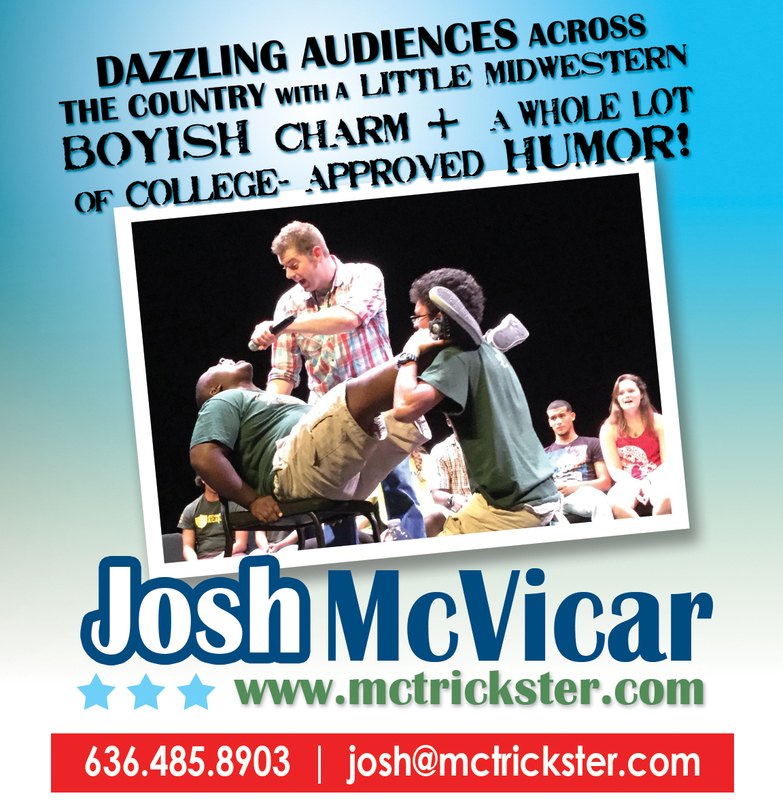 Call (636) 485-8903 or email josh@mctrickster.com for more information.